If you are looking for a used car dealership in Clinton, you should know that there are more options out there than simply a lot that sells used cars. The best dealerships offering used cars today will give you a wide range of perks that you can enjoy even when you are not shopping for another vehicle. 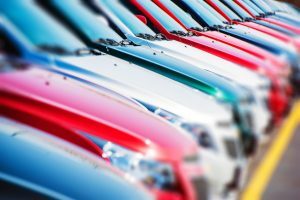 When it comes to inventory, you need to have a vast selection of vehicles to pick from. This will mean great compact cars for daily commutes to and from work, SUVs that you can take on adventures, trucks for all of your work needs, and minivans for family adventures. The right used car dealership will have quality cars in various price ranges to fit a variety of budgets. There is nothing better than the feeling you get when you are able to save when buying a newer vehicle. If you are trading in your current vehicle, you can save a bit of money on your purchase. However, worthy used car dealers will also have regular specials available that can save you even more money. Buying a car will usually mean looking for great financing. Instead of trying to shop around for a loan with outside lenders, a used car dealership will give you options with in-house financing. The finance professionals will take a look at your budget, financial statements, and needs before matching you with a great lender and the right loan to fit your requirements. Shopping for a vehicle is always better when you are able to buy with confidence. Look for a used car dealership that will offer warranties on the used cars that they are selling to give you added peace of mind. Once you buy your vehicle, you are also going to want to be sure that you do everything you can to take care of it. Having a car dealership that also offers automotive service will help you to care for your vehicle throughout the life of ownership. This means having a service center that you can trust for oil changes, new tires, battery replacement, and any major repairs that you may need. When it comes to your automotive needs, Expert Auto is your number one answer in a used car dealership in Clinton. Not only do we offer all of these important aspects listed but you can also count on us for a friendly, professional customer service team to assist you with all of your used car buying requirements. There is a lot that your local used car dealership in Clinton can do for you. Let our staff at Expert Auto show you the benefits of shopping with us. Call (866) 429-0970 for more information!